After Ruskin mentored her for a number of years, Lilias felt the call of the Holy Spirit to dedicate her life to missions, specifically to North Africa. She applied to a program to be sent, but due to her weak health, she was rejected. Since she came from a wealthy family and had the ability to support herself, she set out anyway, with two friends — to a harsh, unknown land with taxing weather and a foreign tongue. She stayed there until she died at the age of 75, having given her life for the women and children of the Algerian slums. Ruskin never recovered from Lilias’ decision to forego a life dedicated to painting. He implored her to pursue her art with the same passion with which she embraced missions. When pressed, ultimately she could not do it. She felt she had to go to Africa and leave her beloved mentor behind. It was not an easy choice; it came through much anguished prayer. Ruskin mourned her decision of mission over art. But here’s the thing Ruskin didn’t know: Lilias wasn’t making a choice between art and missions. If you read her journals, they are filled with beautiful sketches, paintings, and inspirational, decorative prose. She continued to see the world with an artist’s eye, whether it was the people she ministered to or the landscape she grew to love. No, as the filmmakers point out, she did not choose between art and mission. The choice Lilias made was between fame and obscurity. Ruskin had declared her to be his student with the greatest potential for acclaim. 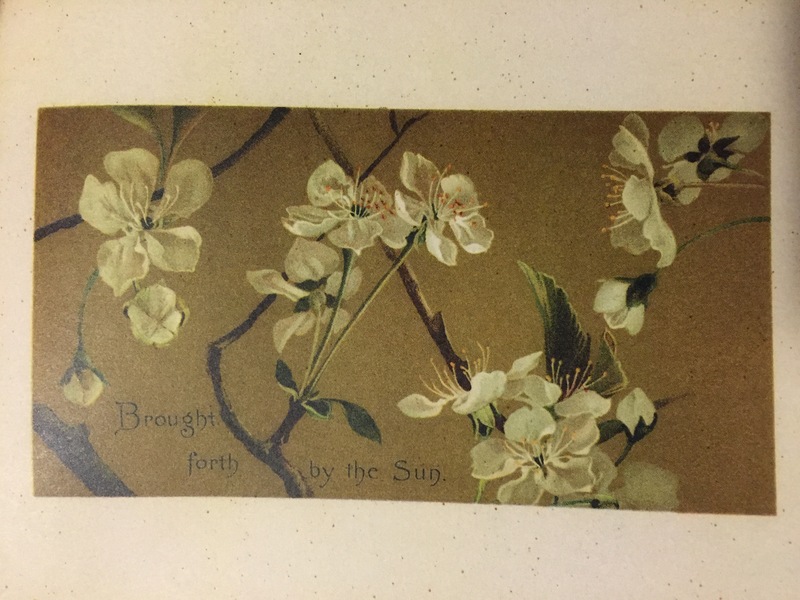 People would celebrate her art; she would be famous in England — perhaps all over the world. Instead, she moved with two friends to a land she did not know, to minister to people she could not communicate with, in the spirit of a religion that was strange to them. What an absolutely counter-cultural idea today: choosing obscurity. To take the less celebrated, unrecognized path in our world is unheard of. Choosing to diminish, to be brought low, to become less — this is greatness in God’s economy. Many Beautiful Things was released (on DVD and digitally) on March 8 in celebration of International Women’s Day. Find more information and watch the trailer here. Kelly enjoys live music, baseball, writing, reading great books, and traveling with her best friend and husband, David. She lives in Charlotte, North Carolina, and spends most days homeschooling her five kids and wondering where all the socks went. Thanks for sharing, Kelly. 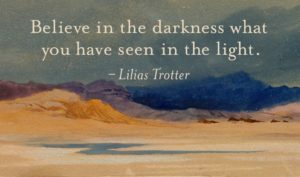 Our third daughter is named after Lilias Trotter. Her story is both inspiring and glorifying to our great God. Thank you for sharing about this documentary ~ going to check it out now! Beautiful, Patty. Enjoy the film! Sounds like a wonderful documentary – I have a book about her sitting on the shelf but haven’t yet made time to read it. You’ve encouraged me to dust it off and start reading. She is an inspiring woman! I love her story and I love the way you frame her decisions! I’m going to watch that now. Thank you twice Kelly! I went to see the screening as you suggested it & I was so blessed! I came home and immediately ordered “Parables of the Cross.” I am reading and re-reading it to let all the goodness soak in. And yes: what a beautiful picture of how we are not ruled & slotted by our gifts, but are able to use them where the Lord calls us to. Thanks for sharing!! !